More interesting news from a set visit, this time from Starlog.com. During the visit Frank Marshall provided information on the status of the scripts for movies 2 and 3, and gave information on just how much time it will take to complete this epic trilogy. The set visit also included some talk time with Shyamalan himself, who emphasized just how important he felt the film was. Don’t listen to him, you’re going to be my new pet! Today we finally have confirmation from Producer Frank Marshall that everyone’s favorite flying lemur will indeed be in The Last Airbender! 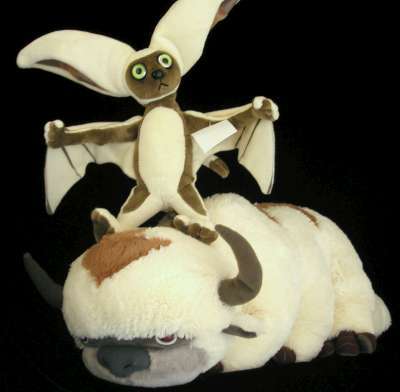 Yes, both Appa and Momo are now in! Meet Jade Quon; beautiful, deadly, and Noah Ringer’s stunt double for The Last Airbender. Over the last 10 years Jade has made quite a name for herself, with a resume that spans from the 42nd Grammy Awards (2ooo) to performing utility stunts for the recent hit “Star Trek”. But don’t let her smile fool you, she can take a hit as well as dish plenty of them out. Want proof? Check out her demo reel below. For more information about Jade and the work she’s done visit her official website at jadequon.com. So what does, or rather will, make The Last Airbender so special? Tara Bennet of SCI FI Wire enlightens us after a visit to the set. Over the course of a century, the world is nearly shattered by relentless battles until the only hope for peace appears in the form of Aang (Noah Ringer), a bald little boy with some serious kung-fu skills. An Airbender from the Air Nation, Aang discovers that he is the legendary Avatar, the lone human who can harness the powers of each element to restore balance to the ravaged world. Together with Katara (Nicola Peltz), his Waterbender best friend, and her headstrong brother, Sokka (Jackson Rathbone), Aang reluctantly goes on the journey to fulfill his destiny of restoring the world through his remarkable gift of “bending” the elements to his will. Last Tuesday io9 was a guest of Paramount, along with a few other reporters, on the set M. Night Shyamalan’s latest film,The Last Airbender. We headed over to Night’s favorite cinematic city Philadelphia, to see what the the director of The Sixth Sense would do with an expansive fantasy world. Night is, in a sense, building an entire world with only the cartoon and a specific, but loyal, following of fans to keep him in check (some of the biggest fans being his own daughters, who were the inspiration behind his tackling the project). PHILADELPHIA — The lavish ice palace had gone silent. The Fire and Water nations were no longer waging acrobatic battle between its frosty walls, and from the snow covered steps to the blown-glass chandeliers hanging above the balconies, a beautiful tranquility had descended. Meanwhile, the production was in full, hectic swing across town, where another massive hangar housed another set for M. Night Shyamalan’s gargantuan, fantastical adventure story, “The Last Airbender.” Packs of extras wearing Samurai-like battle gear wandered here and there. Workers drilled and sawed and hammered. And Shyamalan and his star, Dev Patel of “Slumdog Millionaire” fame, were in the middle of it all, filming a pivotal fight scene. Air, Water, Earth, Fire. Four nations tied by destiny when the Fire Nation launches a brutal war against the others. A century has passed with no hope in sight to change the path of this struction. Caught between combat and courage, Aang (Noah Ringer) discovers he is the lone Avatar with the power to manipulate all four elements. Aang teams with Katara (Nicola Peltz), a Waterbender, and her brother, Sokka (Jackson Rathbone), to restore balance to their war-torn world. Airbender Teaser Trailer in HD! Now you can watch The Last Airbender teaser trailer in glorious high definition! Can you make out the little soldiers? Click here to view it in high definition. The Last Airbender Teaser Trailer! Here it is, the full teaser trailer for M. Night Shyamalan’s The Last Airbender, courtesy of Paramount! Be sure to see it in theaters this Wednesday with Transformers: Revenge of the Fallen. 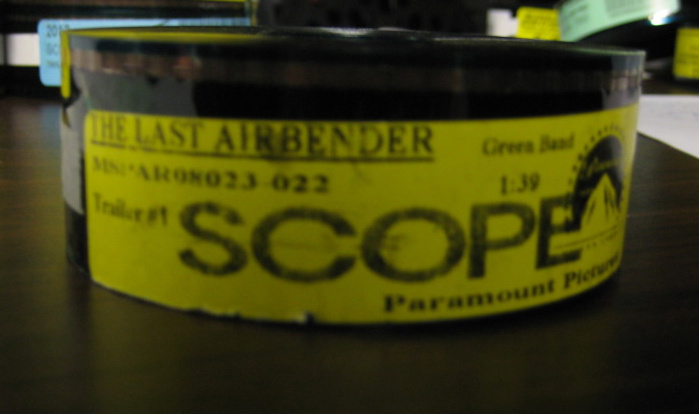 Thanks to NeoGAF member Scarecrow for this tantalizing shot of The Last Airbender teaser trailer film reel. Youtube user Eternalight55 was kind enough to upload Entertainment Tonight’s First Look at M. Night Shyamalan’s The Last Airbender! The full teaser trailer will be attached to Transformers: Revenge of the Fallen in theaters this Wednesday! 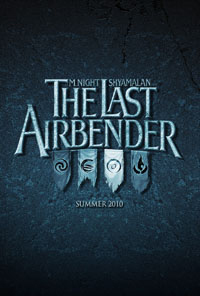 You are currently browsing the Last Airbender Film | Avatar: The Legend of Korra News, and Media Fan Blog blog archives for June, 2009.